Finish the first written assignment due Tuesday October 2. See the Assignments page for it if you’ve misplaced your copy. (Re)Read the assignment sheet thoroughly and make sure you understand what I’m asking. There are no trick questions here: I’m looking for exactly what’s on there. Now is also the time to schedule time with Lehman’s ACE Center if you’re not totally confident about your writing ability. Also see the resources on the assignments page for some quick MLA formatting tips. NY State’s voter registration deadline is approaching for the November elections. Download an application here (PDF). New applications must be postmarked by 10/12 and received by 10/17. Changes in political party affiliation deadline is 10/12. Address change deadline is 10/17. You can also register/change info in person. Full details at the Board of Elections website. Tuesday October 2: Finish reading Piñero’s play Short Eyes (pages 193-243 in Outlaw) and watch the film version embedded below. (Re)read the Epilogue (pp. 235-243). Short Eyes is set entirely in a prison (actually a house of detention: think Riker’s Island). Think about what the setting means and how characters react to it. Also consider how Piñero’s own experience and outlook on life shape what and who he writes about. What characters does he show in the play? What language does he use and what effect does that have? What audiences do you think Piñero is writing for? What similarities or differences do you see with his poetry? What’s the setting he chooses and what side of the city does that show? What are some of the key themes the play deals with? Identify key points of the play where the storyline (plot) turns or changes. Mark significant points where this happens in your book and write them down in your notes. What causes the plot turns and how might actors on stage make them believable? Watch the film version of Piñero’s Short Eyes (1978). Piñero has a few scenes in the beginning as the fictional character Go Go. The famous soul vocalist Curtis Mayfield has a part also in addition to creating the soundtrack. For Thursday, October 4, we’ll move to the first novel of the semester. Read pages 1-54 in Ernesto Quiñonez’s Bodega Dreams. This isn’t a complete list, but these are a few key things that jump out at me. Begin to look for connections/ similarities / differences in things we’ve read (and other things you’ve read/ watched /studied in other classes, etc). If you keep up with the weekly reading and take good notes, then you’ll be well prepared for the midterm and final exam and get much more out of the class! Tuesday October 2: Finish reading Piñero’s play Short Eyes (pages 193-243 in Outlaw) and watch the film version embedded below. Short Eyes is set entirely in a prison (actually a house of detention: think Riker’s Island). Think about what the setting means and how characters react to it. Also consider how Piñero’s own experience and outlook on life shape what and who he writes about. Groups have been finalized for presentations. Contact me immediately via email if for some reason you’ve missed sign-ups! Continue working on your paper, due Tuesday October 2nd. Again, it’s not a lot of reading, but you need to read the poems slowly and carefully. Take good notes and think about the questions above as you read. Based on Piñero’s biographical story, how do/don’t his stories match the life he’s living? How does Piñero’s work differ from Pietri’s in form or content? What language does he use and what effect does that have on his poetry? For Thursday September 27th, Finish/Read “The Drama of Miguel Piñero” at the front of Outlaw and then read Piñero’s play Short Eyes (pages 193-243). Short Eyes is set entirely in a prison (actually a house of detention: think Riker’s Island). Think about what the setting means and how characters react to it. Also consider how Piñero’s own experience and outlook on life shape what and who he writes about. Announcements: We finalized the schedule for group presentations in Thursday’s class. If you’ve somehow missed signing up for a group, email me immediately to get that straightened out. The assignment sheet for the first paper was handed out on Thursday. Download it from the Assignments Page if you were absent/lost yours. On Tuesday 9/18 there are no classes scheduled (PDF!) because of Yom Kippur. Thursday, September 18th: We move on to Miguel Piñero and read poetry selections from the book Outlaw: The Collected Works. Read the “Introduction to the Poetry of Miguel Piñero” at the beginning of the book. It’s not a lot of reading, however, you must read the poems slowly and carefully and choose 2 of them to read more than once. Take notes on key points that you think are significant, funny, interesting, or do a nice job of telling the story of the city. As with Pietri, while reading the intro at the beginning of the book with Piñero’s bio, look for cues from his life story that show how he approached his writing. On Tuesday 9/11 there are no classes scheduled (PDF!) because of Rosh Hashanah. (l’shanah tovah!) Note that we’re also off the following Tuesday, 9/18. 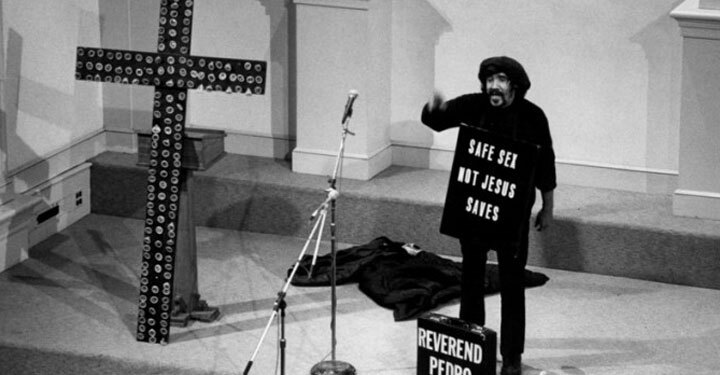 Continue Pedro Pietri’s poetry from the book Puerto Rican Obituary from the same PDF on the Readings page as last week. (Re? )Read “Puerto Rican Obituary” and “The Broken English Dream”. Also read “Suicide Note from a Cockroach”, “Love Poem for My People”, “Unemployed” and “OD”. Now that we’ve covered some of Pietri’s life, think about how points from his personal outlook on religion, death, and the ambivalence toward the American Dream are reflected in the poems. Again, look for specific points that reveal how he approaches the subjects and make a note of them. How does Pietri’s writing define the urban experience for the people he’s writing about? What type of urban environment does he describe? What language does he use and how does that reflect the urban situation? Do you see any of the points Pietri makes in the interview reflected in the writing? Make note of a few examples. If you missed class on Thursday 9/6, email me to choose a date for a group presentation. Look for an update next week for the following reading assignment, though note that we’ll be moving on to Piñero’s Outlaw, so be sure to get a copy.